So far kirstywd has created 6 blog entries. 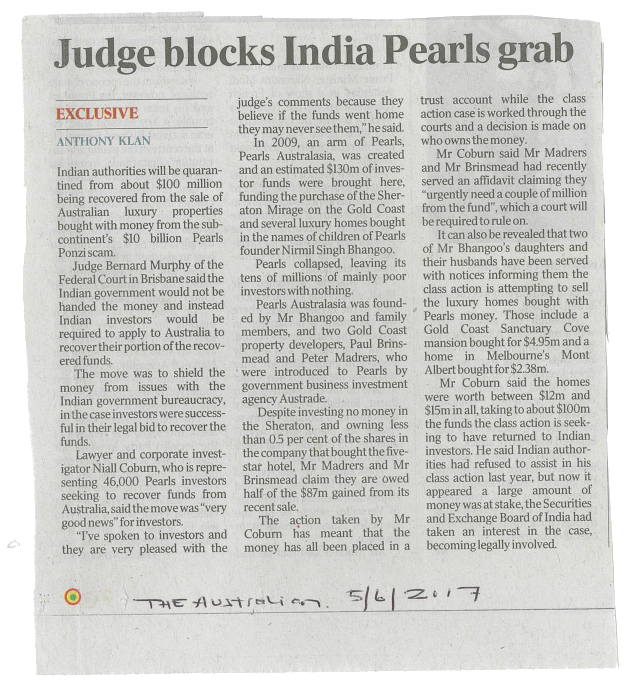 More than $90 million funnelled to the Gold Coast by the masterminds behind India’s giant Pearls Group Ponzi scheme will be made available to victims and distributed under an Australian court-supervised remediation scheme. 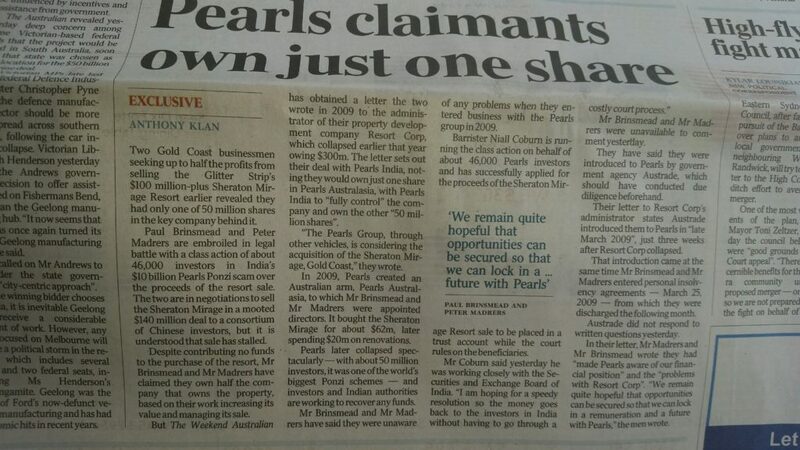 In his findings, judge Michael Lee said “the only conclusion” to be drawn was that without the actions of Mr Coburn and his legal team, the proceeds of the Sheraton Mirage sale and two luxury Gold Coast properties would “most likely have been put beyond the reach of investors”. 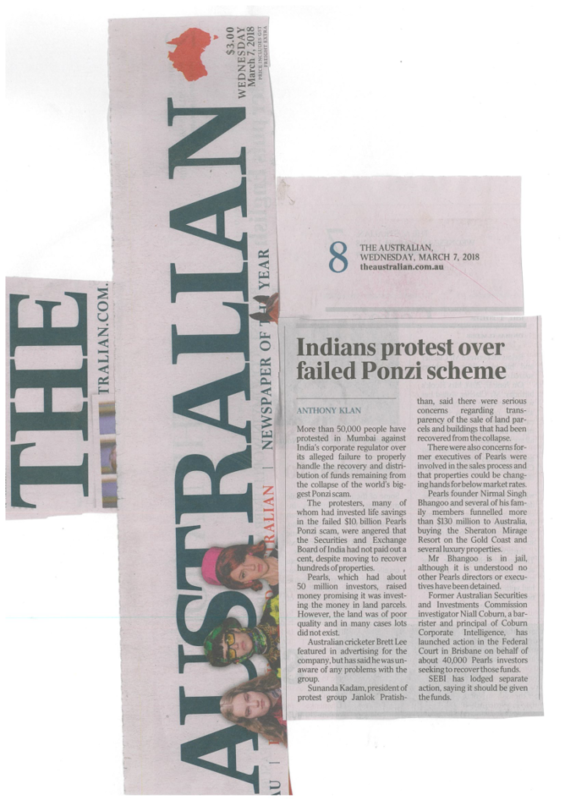 A former senior ASIC investigator has told the Federal Court in Brisbane of his fears of corruption among Indian Government officials meant to be acting in the interests of the millions of victims of the alleged Ponzi scheme run by India’s Pearls group. 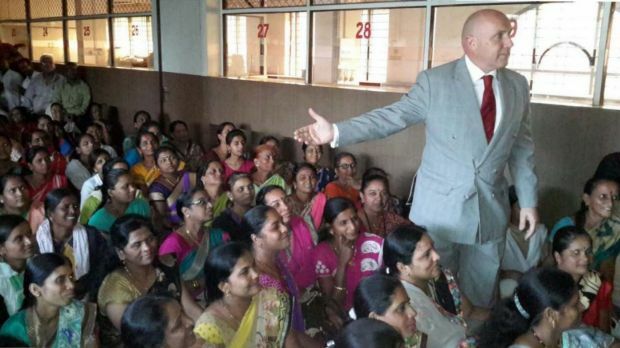 Niall Coburn, now a barrister in private practice, was on Tuesday giving evidence in a case to determine what happens to the almost $100 million in proceeds from the 2016 sale of the Sheraton Mirage hotel on the Gold Coast by Australian company MiiResorts.